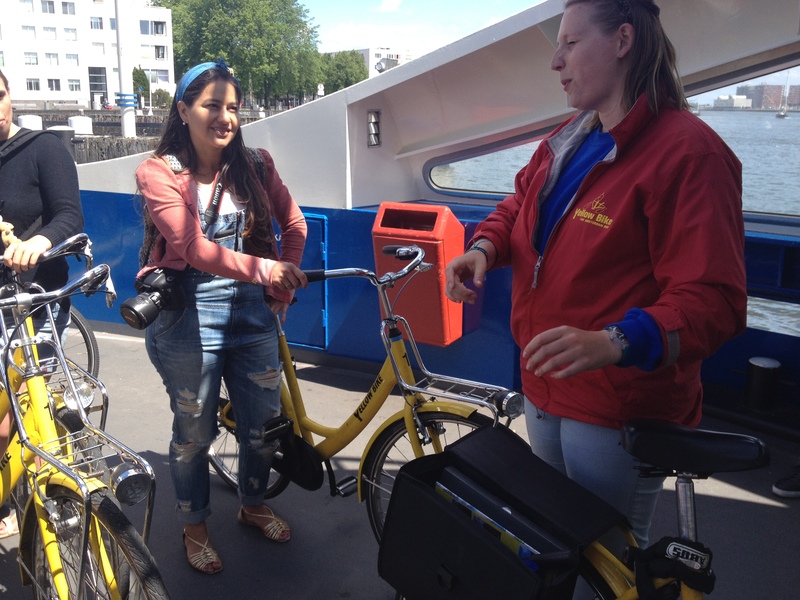 Have you always wanted to explore Amsterdam on a bike, but feel that you’re not ready for hustling it with the breakneck-speed-riding locals? Fret not, I got your back. 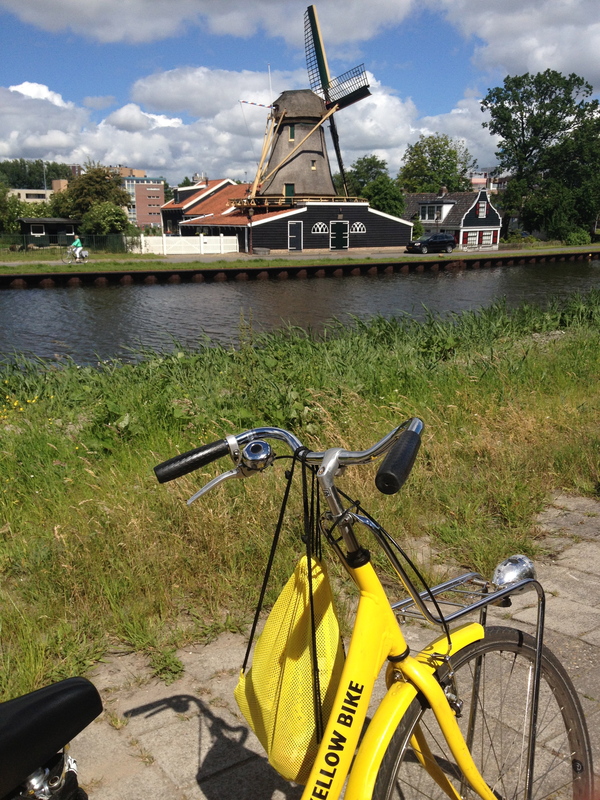 While scouring downtown Amsterdam for that elusive break-of-dawn-breakfast place, I stumbled upon a godsend called Yellow City Bike Tours. 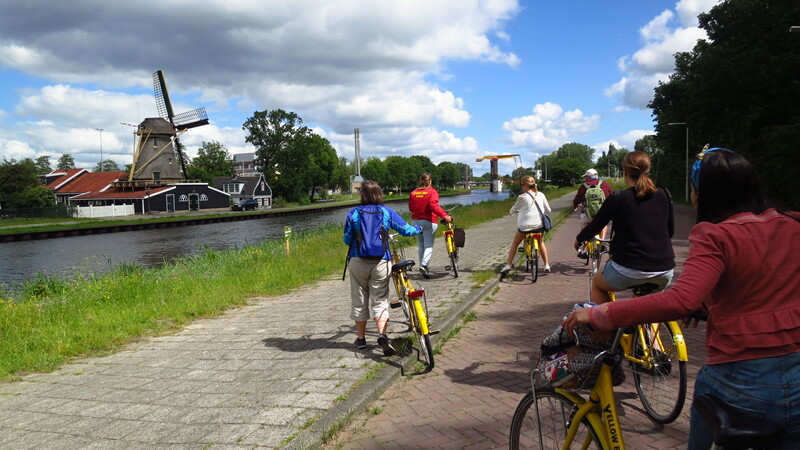 Aside from their bike tours of the hectic central Amsterdam, they also offer a more leisurely countryside cycling tour. 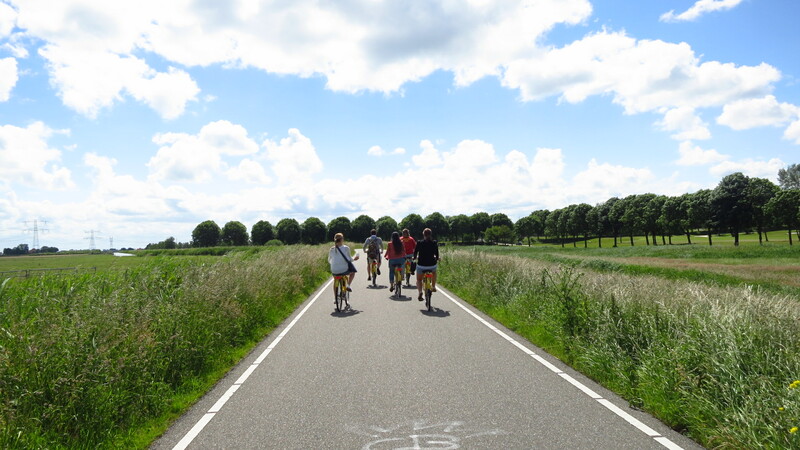 Imagine exploring the lush Dutch landscape on two wheels, feeling the wind against your face, without the fear of being thrown off track by a tram or a potty-mouthed high-flying biker. All this just a few minutes away from Central Station. Who says you can’t have it all? Catching our breath while listening to a quick rundown of our itinerary whilst in the ferry. You can’t fully avoid the city bike lanes though. 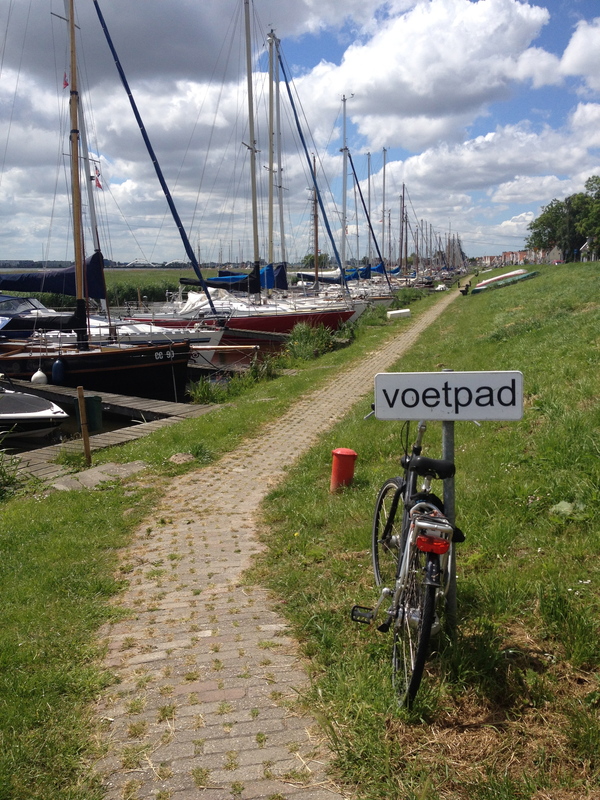 The adventures begins as you mount your bike and try to navigate from Nieuwezijds Street to Central Station. The few minutes wherein you do have to face busy traffic intersections might set your heart racing, but once you whiz through the docks and hop onto the quick (free!) ferry ride to Amsterdam Noord, all will be right again. The experience was quite literally and figuratively a breath of fresh air. My pictures do not bring justice to the lovely wood-and-brick houses that line up the canals, the charming chapels that pop up every now and then, the broad green meadows wherein the few cows and sheep, I imagine, are also happy to be far away from the bustling city. We rode through the fields and towns in a rather relaxed pace, and had the luxury for long stops under the shade of trees. This gave our guides enough time to indulge us more on how the Dutch are on top of the game when it comes to waterway engineering; the grounds we stood on were former swamplands turned into now-habitable areas. Amsterdam’s city center is indeed one of the best to explore, whether you’re there for the nightlife or for museum raids during the day. But if you do need a breather from all the excitement, I would highly recommend Yellow City’s countryside ride.